CRAZY COOL GROOVY!!! 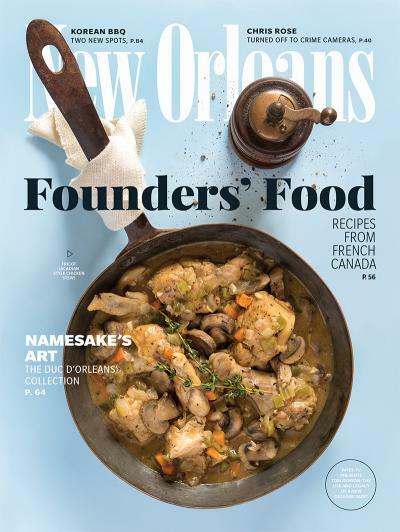 : I LOVE 2 EAT #195 - FOUNDERS' FOOD On NEW ORLEANS MAG!!! I LOVE 2 EAT #195 - FOUNDERS' FOOD On NEW ORLEANS MAG!!! Throughout this year of 2018, Yours Truly CCG's hometown of NEW ORLEANS, LA, is celebrating it's TRICENTENNIAL (300 Year) ANNIVERSARY!!! Doing their part to keep the party going throughout the entire year, the truly wonderful people at NEW ORLEANS Magazine are gifting us with a wealth of historical and cultural information on The GOOD, The BAD, and; The UGLY... of our beloved CRESCENT CITY. Immerse yourself in the history of the NEW ORLEANS MARDI GRAS INDIANS and engage the SPIRIT Of FI YI YI, get ready for Summer Camp Season with the CAMP CRUSADER, gain some insight on Big Brother and the NOPD EYE In The SKY, get two full scoops of NEWS From The KITCHEN, tickle your palate with a few RECIPES From FRENCH CANADA, and; so Much MORE from the FOUNDERS'FOOD Issue of NEW ORLEANS Magazine.